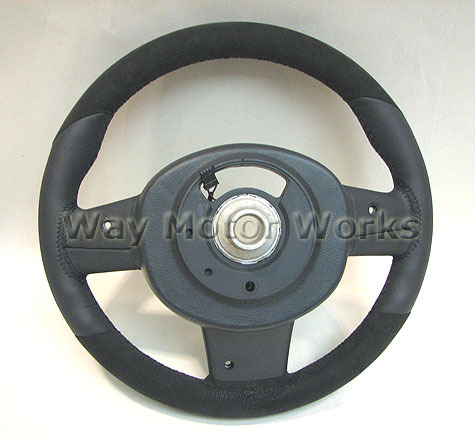 JCW John Cooper Works Alcantara Leather Steering Wheel for 2007+ R55 R56 R57 R58 R59 MINI Cooper and Cooper S. This JCW steering wheel is a direct replacement for the 3 spoke steering wheel with Manual Transmission ONLY. This wheel is like grabbing a nice, well you know, every time you get in your MINI. 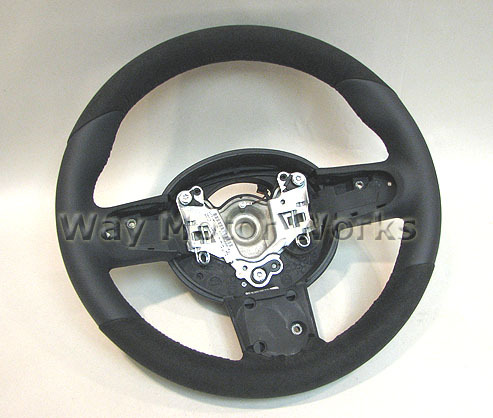 Steering wheel comes as shown in picture. Also avail in standard leather.